12" 13" 14" 15" 16" 17" 18" 19" 20" 21" 22" 23" 24" 25" 26" 27" 28" 29" 30" 31" 32" 33" 34" 35" 36" 37" 38" 39" 40" 41" 42" 43" 44" 45" 46" 47" 48" 49" 50" 51" 52" 53" 54" 55" 56" 57" 58" 59" 60" 61" 62" 63" 64" 65" 66" 67" 68" 69" 70" 71" 72" 73" 74" 75" 76" 77" 78" 79" 80" 81" 82" 83" 84" 85" 86" 87" 88" 89" 90" 91" 92" 93" 94" 95" 96" 97" 98" 99" 100" 101" 102" 103" 104" 105" 106" 107" 108" 109" 110" 111" 112" 113" 114" 115" 116" 117" 118" 119" 120" 121" 122" 123" 124" 125" 126" 127" 128" 129" 130" 131" 132" 133" 134" 135" 136" 137" 138" 139" 140" 141" 142" 143" 144" 0/0"1/8"1/4"3/8"1/2"5/8"3/4"7/8"
12" 13" 14" 15" 16" 17" 18" 19" 20" 21" 22" 23" 24" 25" 26" 27" 28" 29" 30" 31" 32" 33" 34" 35" 36" 37" 38" 39" 40" 41" 42" 43" 44" 45" 46" 47" 48" 49" 50" 51" 52" 53" 54" 55" 56" 57" 58" 59" 60" 61" 62" 63" 64" 65" 66" 67" 68" 69" 70" 71" 72" 73" 74" 75" 76" 77" 78" 79" 80" 81" 82" 83" 84" 85" 86" 87" 88" 89" 90" 91" 92" 93" 94" 95" 96" 97" 98" 99" 100" 101" 102" 103" 104" 105" 106" 107" 108" 109" 110" 111" 112" 113" 114" 115" 116" 117" 118" 119" 120" 121" 122" 123" 124" 125" 126" 127" 128" 129" 130" 131" 132" 133" 134" 135" 136" 137" 138" 139" 140" 141" 142" 143" 144" 145" 146" 147" 148" 149" 150" 151" 152" 153" 154" 155" 156" 157" 158" 159" 160" 161" 162" 163" 164" 165" 166" 167" 168" 169" 170" 171" 172" 173" 174" 0/0"1/8"1/4"3/8"1/2"5/8"3/4"7/8"
Unique blackout fabric that matches the look of a light filtering fabric. Equivalent to 1/2" cell shade. Matching 1-1/2" PVC Headrail and bottom rail. Quick Production. Ships in days! Blackout fabric for light control. High quality spun lace blackout fabric. Cordless and top down bottom up in the same shade! Perfect for rooms that need to be darkened. Superior point bond room darkening fabric. Both a translucent and a blackout shade in one! Both a sheer shade and a blackout shade in one! Sewn and hemmed sides of the shades for quality. Color coordinated cords and robust cord lock for controlling the height of the shade. 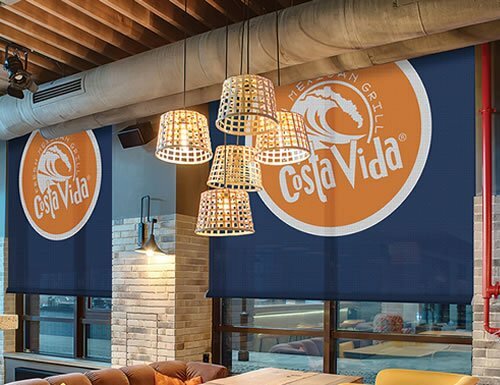 Print any custom logo or graphic on your window shades! Environmentally friendly wild grown bamboo. No pesticides or chemicals. 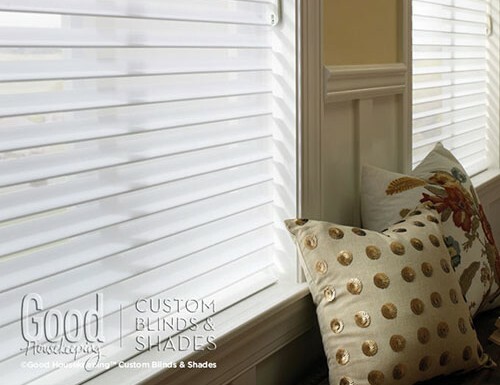 Edge binding available for added durability and elegant look! Vertical Bamboo Shades, perfect for large windows! Matching patterns to our Exotic and Designer Tavarua bamboo shades! 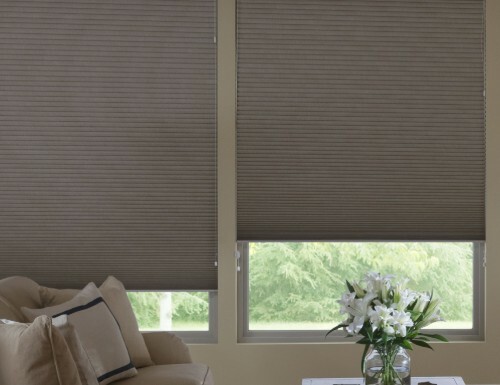 Blinds Chalet offers a wide selection of room darkening shades and blackout shades. 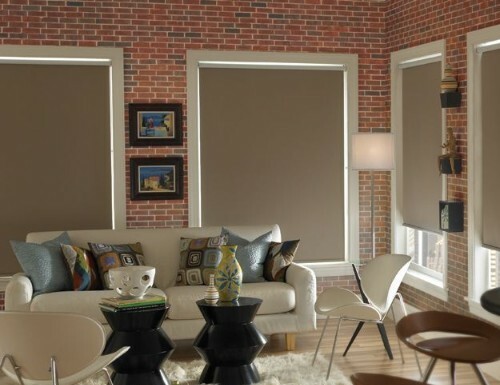 Ranging from blackout cell shades to the elegant room darkening soft sheer shades. 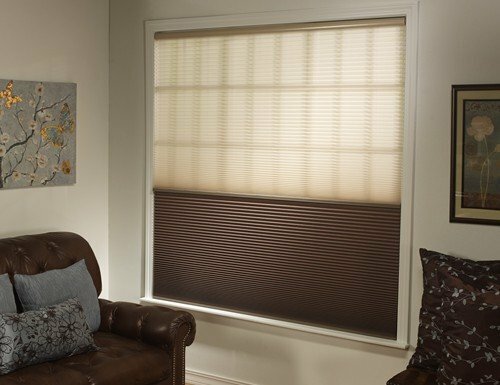 Blackout window shades are designed to block the light and are perfect for home theaters or any room you want to keep dark. 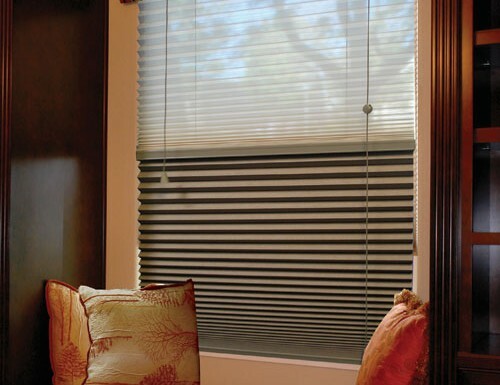 Blackout shades are also ideal for privacy since many blinds may block a view, they still let through a silhouette. 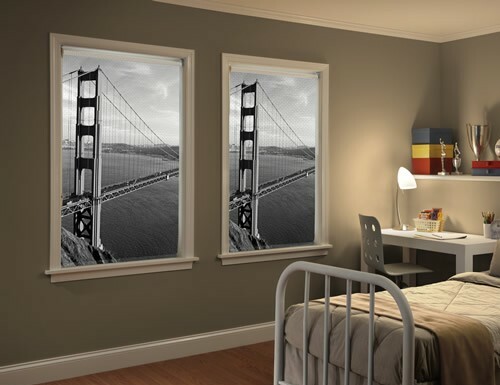 Blackout window shades completely block silhouette’s, the prospect of some one seeing you in your home. 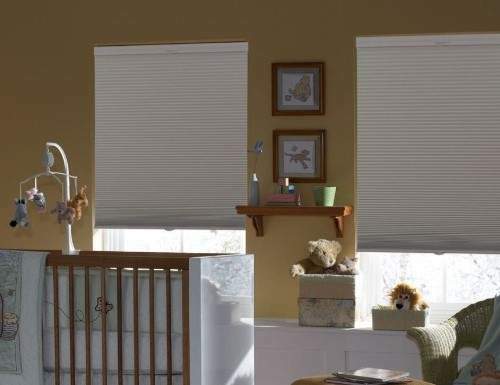 Window blackout shades provide peace of mind and also valuable functional use. 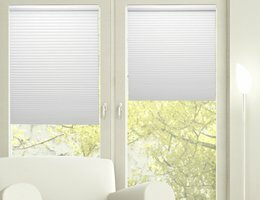 Each of our Light blocking blinds come with their own unique design, and characteristics. 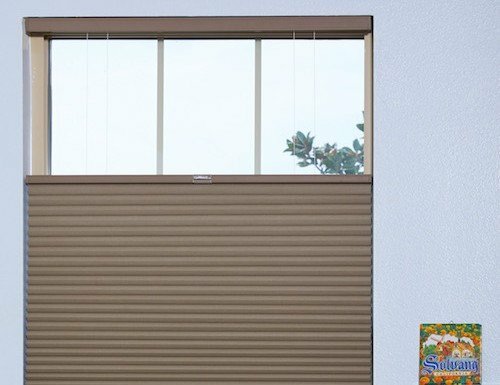 Blackout window blinds have many different control options to fit your style whether that be a code lift, or a cordless lift, similar to the cordless nature of blackout shutters. 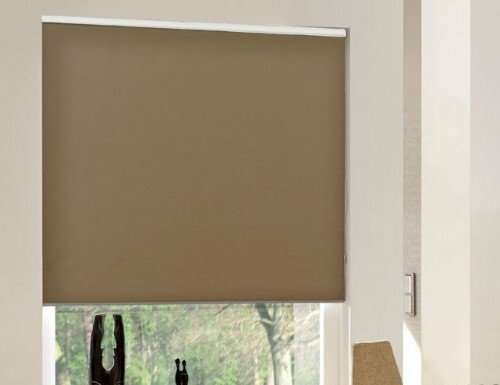 We offer many different darkening blinds or shades to make sure you get the amount of light blocking, that your personal needs require. That is why our darkening blinds will truly fit your lifestyle. 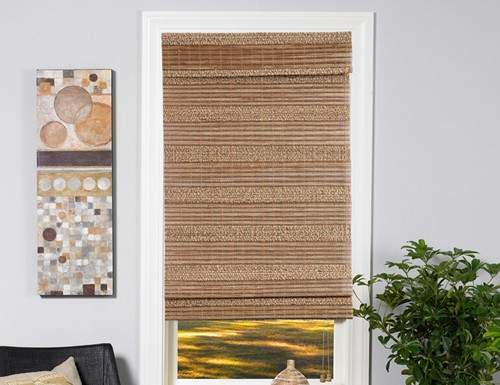 Our wide selection of light blocking blinds include Honeycomb / cell shades, bamboo shades, and soft sheer shades. 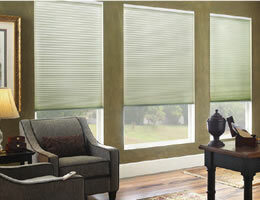 All of which are great options for getting the functionality of light blocking blinds, while keeping an elegant style. 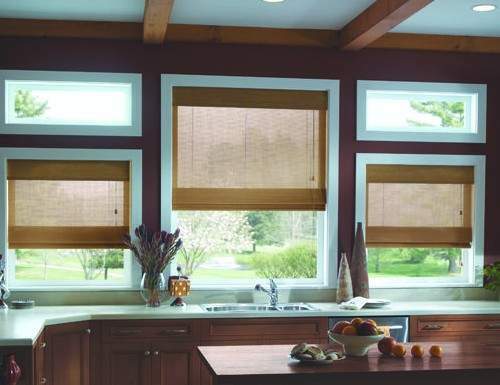 Blackout Honeycomb / Cell shades come in various grades of light filtration, while offering excellent insulation. These shades also have many different colors to make coordination easy. 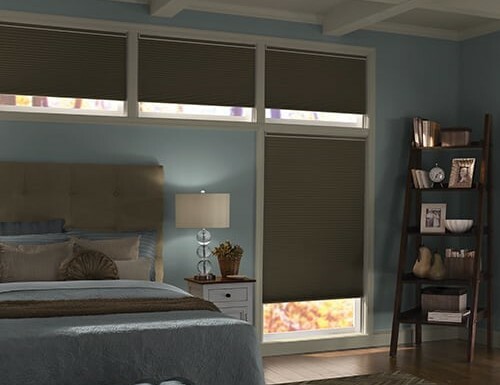 Room darkening, and blackout cell shades will block any undesired light. 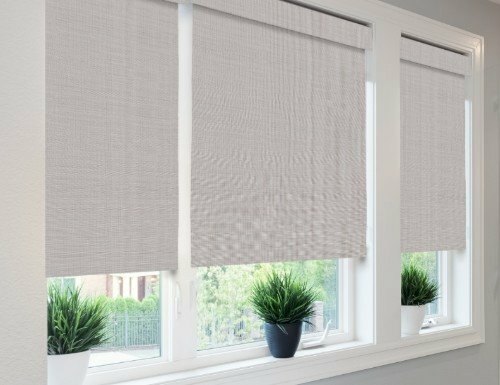 While Bamboo Shades bring a natural style, just add the privacy of a blackout liner to any of our bamboo shades to instantly turn them into window darkening shades or blackout window shades. 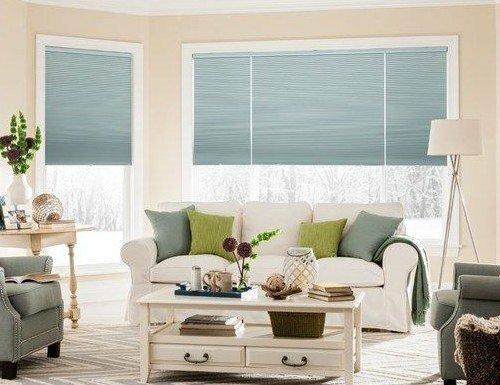 Many customers choose to go with blackout cellular shades when they have older windows and would like to have better control over the temperature of the room. 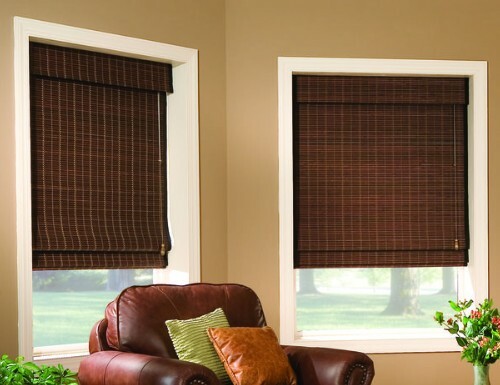 Blackout shades can increase the R value of your window simply because of their insulating properties. This means you can keep you rooms cooler in the summer and warmer in the winter. Blackout Bamboo Shades come in a blackout liner that you can add to most of our bamboo shades as an upgrade. This means that the liner is placed behind the bamboo offering a beautiful look inside the room while a white background shows to the outside of the house. Several times a year you will find that we run a free blackout promotion with our bamboo shades. 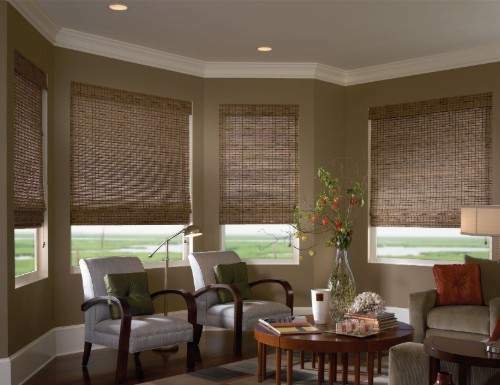 Most customers choose the blackout liner option for bamboo shades that will be placed in bedrooms. A privacy liner can be used if you decide on a bamboo shade for your bathroom since privacy liners will allow light into the room. The blackout liner for our bamboo shades completely eliminates light from shining through the bamboo material. 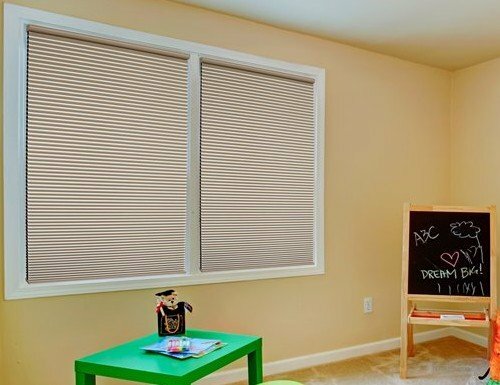 Blackout Roller Shades are only available with specific rollers made with blackout material. They are all listed on this page below under roller shades. 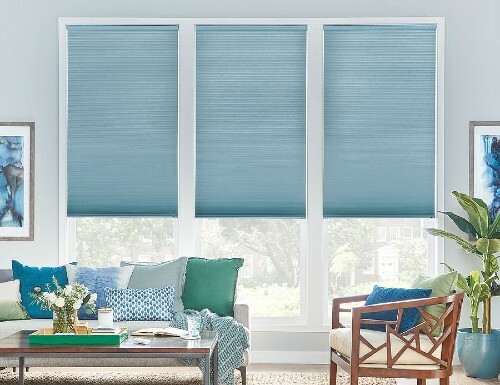 Blackout is not a upgrade option for roller shades. 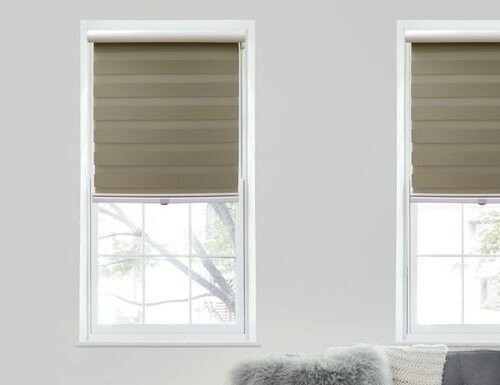 However, most customers that order blackout roller shades tend to upgrade to cordless for increased child and pet safety. 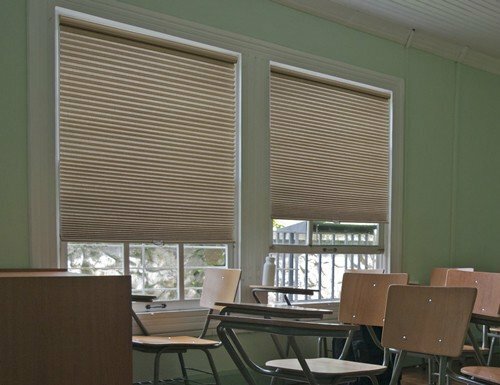 We offer several fantastic blackout roller shade products. 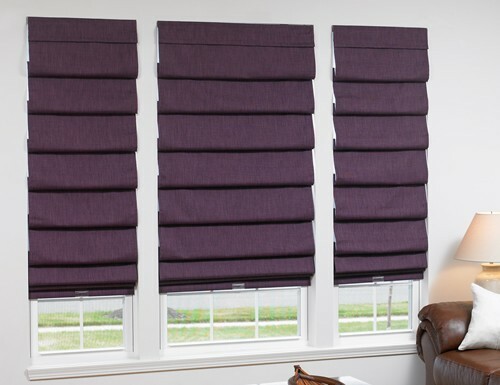 Blackout Roman Shades are currently available with three of our roman shade products. 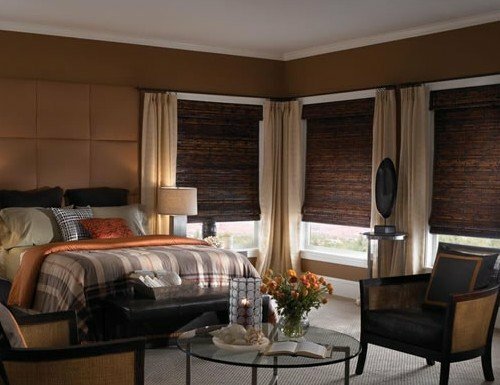 Roman shades are absolutely beautiful, especially when used in well designed master bedroom or other living space. 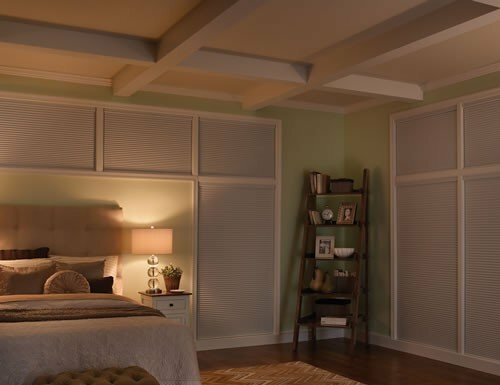 These roman shades will completely block outside light from entering the room. 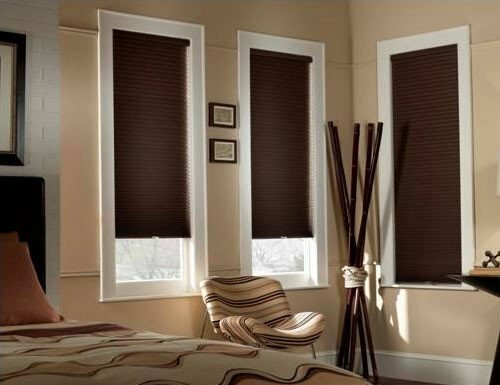 Blackout Soft Sheer Shades / Room darkening soft sheer shades are strong and durable shades. Made generally from a nylon and polyester blend. 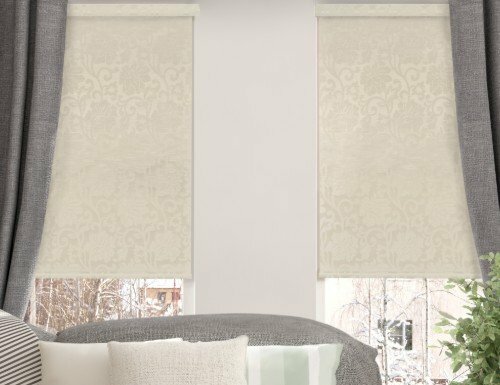 With such a material Soft sheer shades and room darkening soft sheer shades offer great strength while maintaining a beautiful look. Functionality is also extremely user friendly you can simply tilt them and let filtered light in or close them for added room darkening. 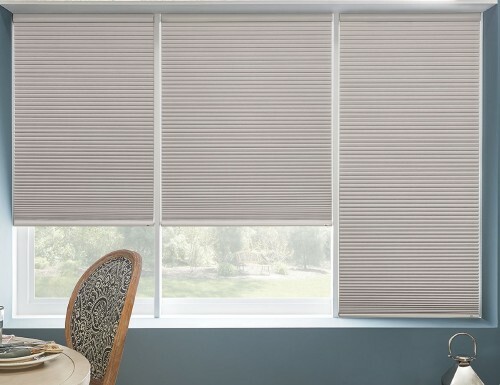 We know with light blocking blinds you will be happy with their style and blackout abilities. 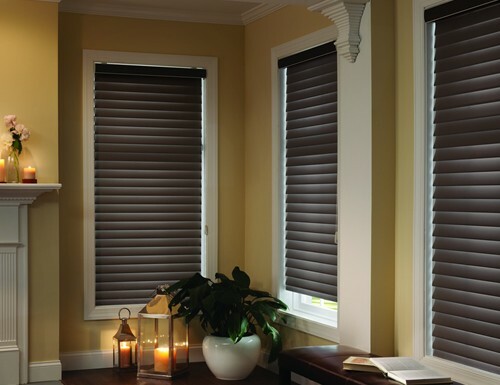 These blackout window blinds will effortlessly add a lovely look to your room. 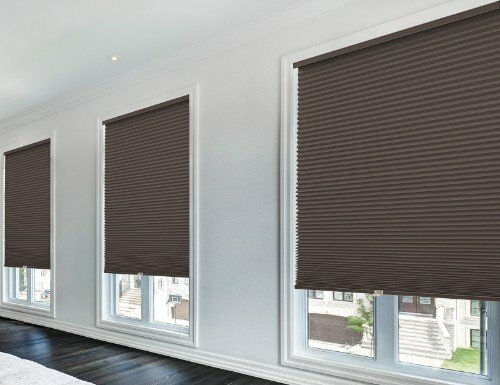 All of our blackout shades are simple to install. Most often the only tools required are a measuring tape, pencil and a drill. Standard sized windows only require two mountain brackets while larger windows might require three or four. All of the hardware you need for installation will be shipped with your product. 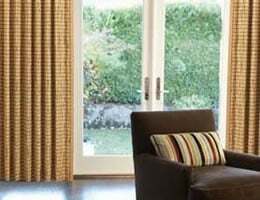 We also offer professional installation services should the need arise. 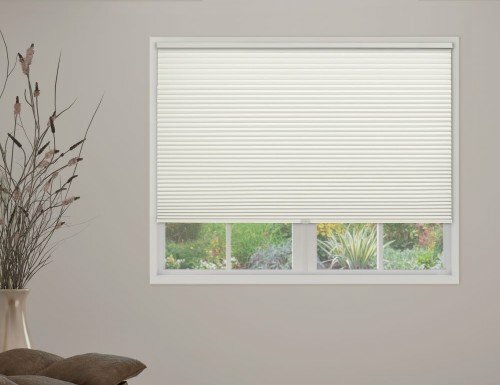 Note: Most of our blackout cellular shades come with a white color that faces the street in order to comply with HOA neighborhood rules. If you have an HOA and are concerned about this please call or live chat with us to make sure the shade you have chosen will be in compliance.